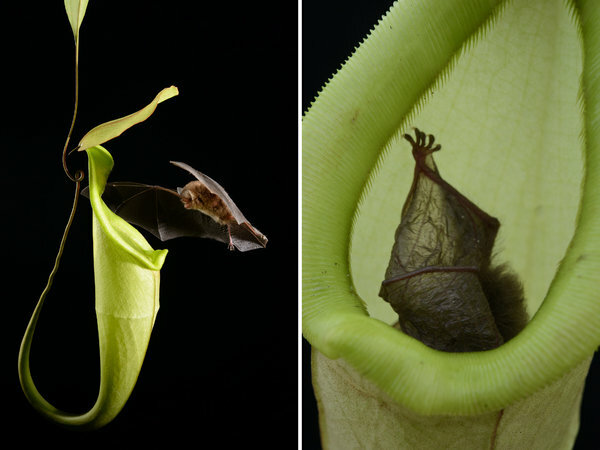 From the New York Times article post: Hardwicke’s woolly bat, flying into a pitcher plant, Nepenthes hemsleyana, where it roosts. The plant attracts the bats to feed on their guano. It does not eat the bats. Photo credit: Ch’ien C.